So, it’s day 10, and I’ve hit the halfway mark. Twenty five thousand words. Two new characters. Lots of questions to delve into. A ghastly tour around an abandoned mental hospital. Menace on the underground. An unexpected comedy crush. The return of some favourite but relatively unexplored characters. I’m having heaps of fun, especially as I never intended to write a sequel. I didn’t think I’d bury these characters for good, but I didn’t expect them to be getting up to such mischief so soon either. Obviously, if I continue at this rate, I’ll have 75K in the bag by the 30th, but I don’t want to tempt fate so I won’t. 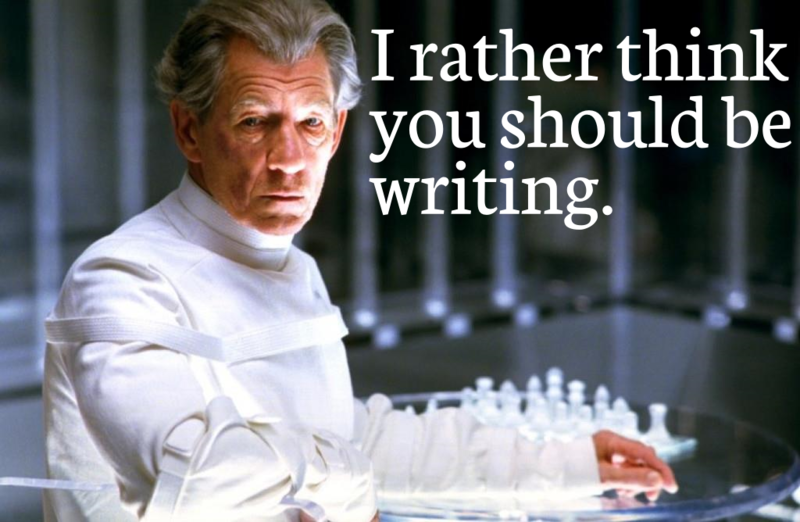 I hope those of you doing NaNoWriMo this year are enjoying yourselves.